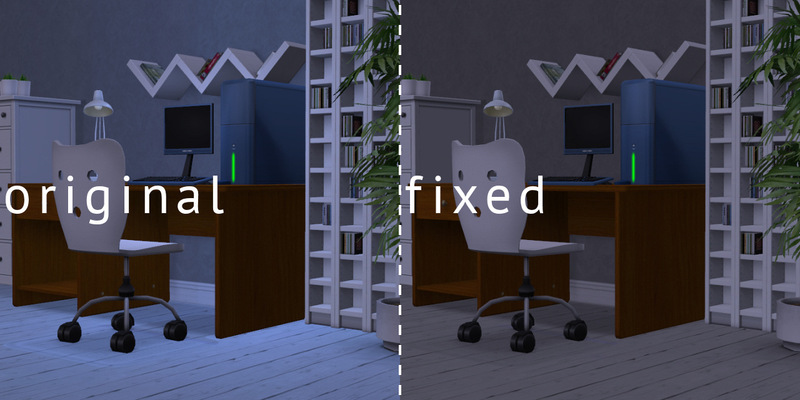 With this mod, turned off computers don't glow as if they were turned on, each time you have loaded a lot, or taken them out of a Sim's inventory. Custom computers are also affected. There are two versions of this mod. Get simNopke-glowingComputerFix-EP8 if you have Apartament Life or Mansion and Garden Stuff installed. Otherwise, use simNopke-glowingComputerFix-base. Get simNopke-glowingComputerFix-EP8 if you have Apartment Life or Mansion and Garden Stuff installed. Otherwise, get simNopke-glowingComputerFix-base.